Thank you both for remembering me, I have been having a tough time of it lately and coming here helps. Joancy, Like Dianna, I am constantly reminded of our furbabies. Another Sunday without my girl, week 20, and it makes me think of you, Scooter, and others. It really is a long and painful process, this grieving thing. I just want you to know that lately I see more and more dachshunds. Or maybe I am just seeing then through different eyes. They have our hearts and yet we have them too Joancy. You and dear Scooter are in my thoughts..............hugs to you both.............Sincerely, Andrea. Thank you Andrea, I needed this today. I sometimes wonder if he knows how much he is loved and missed. Hi my little honey nut... Mama is really doing bad today, my heart is aching worse than ever. Please know I love and miss you MORE with each passing day. I thought it would get easier, but its not. You should be by my side or on my lap right now, I miss you so much! My friends here help me, your probably play with their furbabies. I miss you honey, more than you will ever know, remember I use to say that to you and you looked back at me like..what?? How could mama love me more than she does? Dali's mom said you are watching over me and are with me every moment. I believe this honey, I thought I saw your shadow in the bedroom the other night, maybe that's why I'm crying so much...I want you, not just an imagined shadow. If it's your spirit, please come back..I need you honey. Thank you for posting on LM's thread. I love the pictures of him and his BFF, I'm so glad I took those, they were shortly before he passed, maybe a month or so. I'm so sorry you are not doing well, this grief roller coaster is merciless. I'm sure you saw Scooter's shadow, I too saw a shadow of LM after he passed. I miss my baby so much, time does nothing at all, I cried for him last night thinking of his cute face and his odd personality, I miss him dearly. Like you I used to tell LM I loved him a million times a day. During our walks I would stop to hug him and tell him that, he got used to it and knew when I was about to bear hug him and kiss him in the middle of his walk. He probably thought I was crazy, as did the neighbors! I don't think any of us will completely heal, how can we, we have lost parts of ourselves. I hope your days get better, I wish I can give you some advice but here I am 7 months later and i still cry and miss LM terrible. Hugs to you and Scooter. Thank you Ann, it does feel like a part of me died. It is such an empty feeling and life is so much harder now. Without this forum, I don't know where I would be. Another Thursday tomorrow, so another week goes by without you. When will I stop counting? I think the answer to that is never. I miss you honey, so so much! Not a day goes by that I am not thinking about you. I believe the counting is part of the grieving process as today was 2 weeks without my little girl and I took it really hard, but I know I will continue to count forever as I will always be thinking of her. Scooter was a big part of your life and you will always be connected to him, he is such a handsome boy. We share your pain and hope you find some comfort in visiting here and sharing with others. We are so sorry for you loss of Scooter, You are in our thoughts and prayers. Joancy, I am thinking about you this Thursday. I don't always post as it is my longest work day of the week. I understand how you are feeling. I seem to have a physical feeling of dread every Sunday for my girl Coco. After almost 5 month's I am still mournful and teary each Sunday as memories of her last moments flood my mind. I am sorry Joancy. I sense how very much you miss your darling boy Scooter. I have come to understand that there is no timeline for true grief. I will say that having another canine soul in my home again has been very comforting. There are a lot of mixed emotions when learning to open my heart again, and still grieving my girl. Yet I feel that it is worth the effort knowing that Coco would approve. The sadness over loosing my girl will always be in my heart and soul. I am just trying to do the best thing by her Joancy. I know that you have read the poem that Lee, " Grieving Hannah" posted "Fragile Circle". There is a lot to be said for that poem. I am just sharing some of my journey and feelings with you. I wish that there was a way to bring our beloveds back. I think the hardest part of death is that it is so final. It is dreadful. Death really is the last enemy. Be easy on yourself Joancy. You are dealing with a heartbreaking loss. Yet I know that Scooter is still with you. He will guide you along. 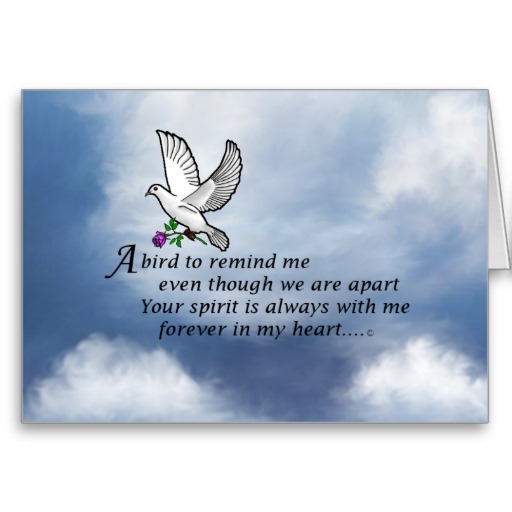 The love never dies.............hugs to you.............xoxoxoxo Andrea. Yesterday was 2 weeks without my Tootsie (Scooter's lookalike). It was a really bad day. Isn't it amazing how losing a small thing (size) can leave such a huge whole in your life, home and heart. I am so sorry for your loss. I know what you mean of how losing such a small dog can leave such a hole in your whole life. I would love to see a picture of Tootsie, even though you said she's Scooters lookalike.